To celebrate the biggest celebrity union since Posh and Becks, British confectionary stalwart Swizzels Matlow - which celebrates its 80th anniversary this year - is creating a bespoke Love Heart for Wayne Rooney and Coleen McLoughlin’s June wedding. It is extremely rare for Swizzles Matlow - the company behind the iconic sweets-with-a-message - to create a personalised Love Heart, the last one being for Prince William’s 21st birthday in 2003. It’s therefore apt that the company is now honoring celebrity royalty. 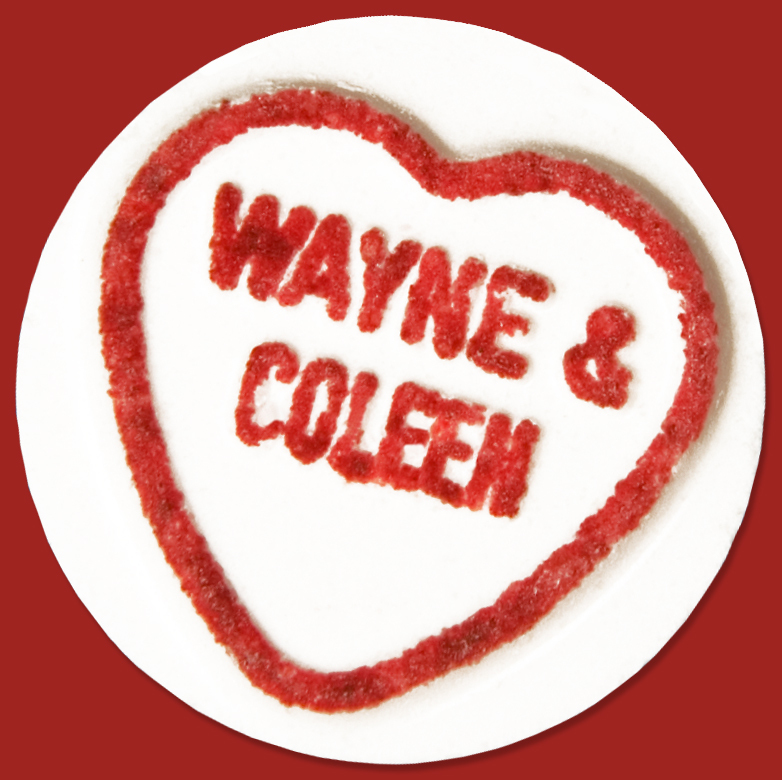 The personalised sweet, which will simply read ‘Wayne and Coleen’, will commemorate their special day and make the couple a part of sweet history forever. The one off, limited edition sweets have been offered to the loved up duo as wedding favours for their guests at what is tipped to be the celebrity bash of the year in Italy this month. Since its launch in the 1950s, Love Hearts have become firmly established not only as one of Swizzels Matlow’s most popular products, but also as one of Britain’s most enduring and recognisable icons. They have appeared on products as diverse as curtains and cosmetics and featured everywhere from the former Millennium Dome to Kate Nash’s latest music video. Andrew Matlow, communications director at the company, explained: “2008 is a significant milestone in the history of Swizzels Matlow which, over the last 80 years, has become one of the most successful and best-loved confectionary manufacturers in the UK. Based in New Mills, Derbyshire, Swizzels Matlow’s product range reads like a Who’s Who of confectionery and includes brands such as Love Hearts, Drumsticks, New Refreshers, Rainbow Drops and Parma Violets. The company, which is one of the few family owned businesses still around in its industry, has been making sweet history since 1928. This press release was distributed by ResponseSource Press Release Wire on behalf of Peppermint Soda in the following categories: Entertainment & Arts, Women's Interest & Beauty, Food & Drink, Retail & Fashion, for more information visit https://pressreleasewire.responsesource.com/about.